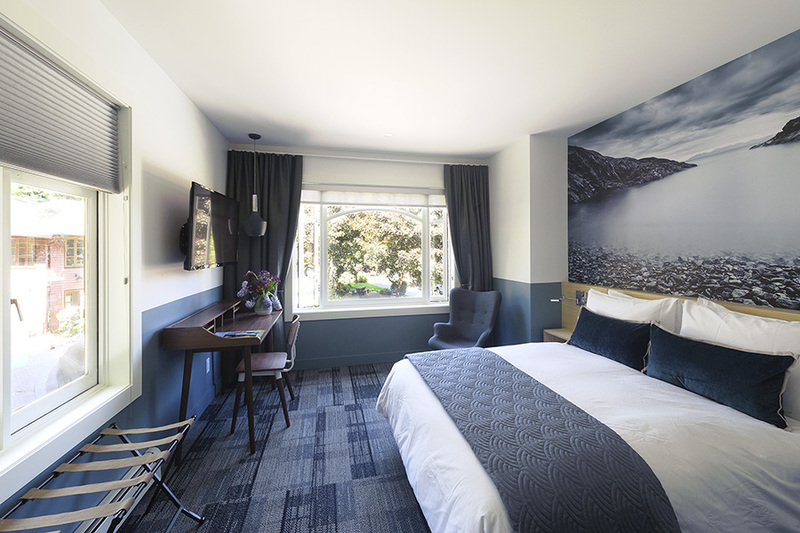 Boutique accommodations on Bowen Island, just outside of Vancouver! A luxurious and cozy room for two with a view of the park. Artisan Square quietly buzzes with the activity of locals and visitors enroute to the various boutique stores, galleries, fitness classes and spas in the area. In the evening, enjoy the peacefulness of island life. but this suite has the addition of a soaker tub!....fine coffee & tea! The view! Quite possibly one of Bowen's most magnificent views from a vacation rental suite. 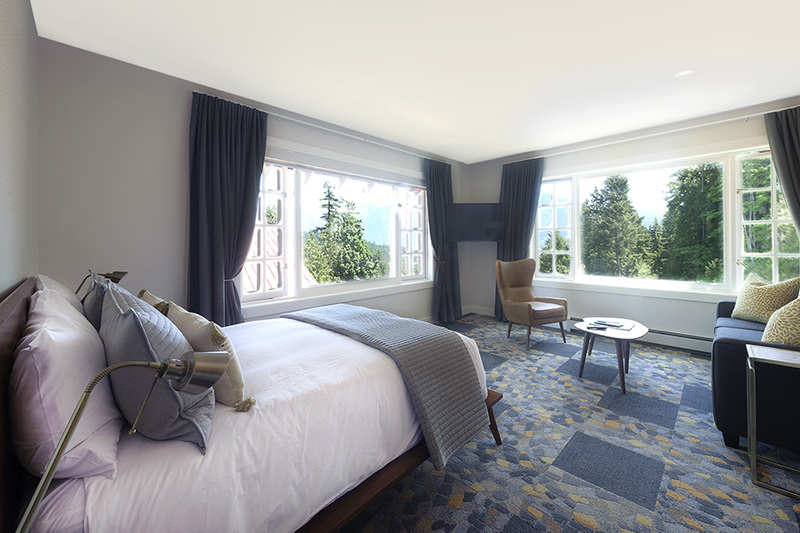 This room boasts an expansive view of mountains, ocean and forest. Watch the ferry come in from the comfort of your King-sized bed! A high-quality sleeper sofa allows for 4 guests. ...you may never want to leave!